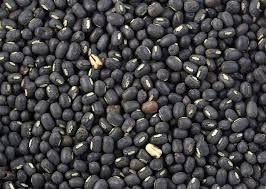 The Black Gram is having Calcium -10.9% , Phosphorus 24.0% It also have 1.4% Iron and 0.9% of Vitamin B Complex. Those who are lack of minerals can get 3.2% minerals from it and 59.6% Carbohydrate. The calories one can get from black gram is 347 calories from black gram dal..